Mindfulness can help you avoid mistakes in business so you can grab opportunity and thrive. Mindfulness is a term that gets used a lot, and is also a central idea I use when coaching leaders. 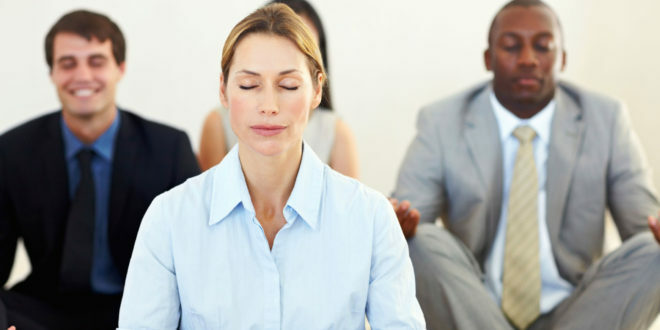 Understanding what mindfulness is about will help you see how to stay on the path to success. According to the Merriam-Webster dictionary, mindfulness is “the practice of maintaining a nonjudgmental state of heightened or complete awareness of one’s thoughts, emotions, or experiences on a moment-to-moment basis.” That last part about the moment-to-moment basis is the key — it’s about being in the present moment. In practical terms, it means that you do not let mistakes, failures or really anything from the past take away from or overpower the moment you’re living right now. And it means that thoughts of the future — whether excitement, anxiety, fear, anticipation or something else — do not distract you from what’s happening right now. Now let’s say you need to fix a mistake you made. You cannot expect to find the best solution if you’re busy beating yourself up and worrying. Sure, you could probably come up with a solution, but it’s not likely to be the one that would yield the best outcome because it will be tainted by these negative feelings bookending your thought process. Mindfulness is about letting the past be the past, not focusing on what has not yet happened, and instead paying full attention to the present moment to make the best decisions you can. Mindfulness therefore optimizes the present and then strings together a series of optimized present moments to create a better total life. You keep researching and analyzing a problem because of fear you are missing something, and so you never take action (and end up missing everything!) Your fear that you are missing something out there — something out in the future that is not clear to you now but might possibly be later — holds you back from moving ahead. You do need to get your facts and analyze the situation, but staying mindful helps you recognize when you have sufficient information to act. Your fear of making the wrong decision keeps you from making any decision…which is the wrong decision itself. The most important letter in CEO is the E because CEOs have to get things done. To be successful in the role, you have to be ready to free yourself of the past or future to execute today. ‘Execute’ does not have to mean doing something if you actively decide not to as choosing to stay the course is an action in and of itself. You made a misstep before by doing X in a specific situation. It failed. Now, regardless of whether X is the right call or not, you never do it against because it failed you once. This is like having to fire someone for performance problems, and then being afraid to hire someone in the future with the same name. It sounds silly when you put it like that, but when you are too focused on the past or future, you can make these sorts of judgment errors. Being mindful keeps us from making decisions from a place of insecurity, as we make bad choices when they are in response to our insecurities. This is how the most successful leaders think. It’ll take practice–but you’ll see how valuable mindfulness is. The effort is worth it. This post is inspired by my best-selling book, “Do a Day: How to Live a Better Life Every Day” available in print, eBook and audio book formats. It originally appeared in my Inc.com column on August 23rd, 2017.